Everyone produces that sticky, bacteria-laden film on their teeth called plaque. If it is not brushed and flossed off within 24 hours, it hardens into a cement-like substance known as tartar. Tartar cannot be brushed or flossed off, but needs to be removed by a dental professional. Left unchecked, plaque can harden – a problem that sets periodontal (or gum) disease in motion. Gum disease is an inflammation of the gums that affects the bone that surrounds and supports the teeth. “Gingivitis” is the earliest and mildest form of gum disease. Left untreated, it can progress to severe periodontitis, the most advanced stage of periodontal disease. The gums become loose and inflamed around the root of the tooth, creating a pocket that gradually deepens. Eventually, infection and inflammation can cause the tooth to loosen and possibly fall out. Just as gum disease causes inflammation of the gums, heart disease is associated with inflammation of the heart’s arteries. Despite extensive research on the connection between periodontal disease and a person’s health, many health professionals still dispute there is a direct connection, claiming shared risk factors, such as smoking or an unhealthy diet, may explain the association. Despite the ongoing debate, key studies have shown that periodontal disease, or periodontitis, increases the risk of cardiovascular disease and heart attacks. In a European Journal of Preventive Cardiology study, researchers found that among nearly 16,000 people, those with tooth loss and bleeding gums were more likely to have cardiovascular risk factors, including higher levels of blood sugar, high blood pressure, artery-clogging LDL (“bad”) cholesterol, and obesity. In a report published by the American Heart Association, researchers found that periodontitis significantly increased the risk of a heart attack, even after adjusting for different factors in patients such as smoking, diabetes, and other factors. Known as “PAROKRANK” (“Periodontitis and its relation to coronary artery disease”), the study comes from Karolinska University Hospital in Sweden. After researchers controlled for smoking, diabetes, education, and marital status, individuals with periodontitis had a 28% increased risk of their first heart attack. Brushing your teeth and flossing can prevent and even reverse an early stage of gum disease. If your dentist or hygienist says you have gingivitis, ask for a brushing and flossing demonstration to make sure you’re doing them correctly. And ask your dentist how often you should come in for teeth cleanings. Sometimes, more than twice a year is necessary to improve your oral health. A new Netflix movie, Root Cause, has been receiving a wide range of online reviews. The movie details a man’s 10 year search for the underlying cause of his chronic illnesses. As he discovers, root canals and oral infections contributed greatly to his illnesses. Online reviews range from thought-provoking to critical, to dismissive, many commentators bemoaning the “lack of scientific evidence” to support the radical allegations made in Root Cause. 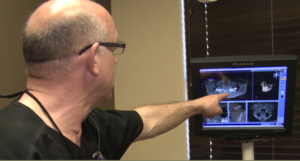 However, there is scientific evidence showing the link between root canals and multiple health issues, as provided in a new book from Dr. Thomas Levy. Dr. Levy is a board-certified cardiologist and a bar-certified attorney. After practicing adult cardiology for 15 years, he began to research the enormous toxicity with much dental work. He has written eleven books, with several addressing the wide-ranging properties of vitamin C in neutralizing all toxins and resolving most infections, as well as its vital role in the effective treatment of heart disease and cancer. Others address the important roles of dental toxicity and nutrition in disease and health. His eleventh book, Hidden Epidemic: Silent Oral Infections Cause Most Heart Attacks and Breast Cancers, was published in September of 2017. 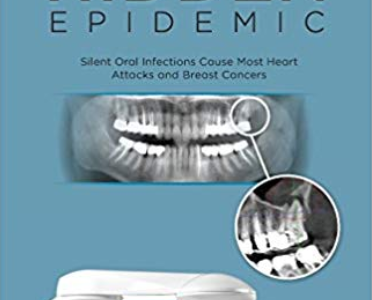 Dr. Levy’s book, as the title states, discusses the research showing the link between infections in your mouth, gums, jawbones, and sinuses and chronic disease, especially heart disease and cancer. Significantly, the statements made in Hidden Epidemic are supported by extensive research, all of which is listed as references in the book for its readers. To answer the critics of Root Cause, Dr. Levy’s book provides all the supporting documentation to show the harm caused by root canals. Watch the movie – read the book. Read the supporting studies. Arm yourself with key information before going to the dentist. Traditional advice has been that too much sugar causes cavities, however, this simple mantra is not only misleading – it also ignores the impact sugar has on your overall body health. Candy, cookies, cakes, and any other variety of sugary desserts, even starchy, refined carbohydrates such as chips, bread, pasta, and anything made from white flour breaks down quickly in your body to simple sugars, causing higher dental and health problems. Carbonated soft drinks are an absolute no-no because not only do they contain a high amount of sugar, they also contain phosphorous and carbonation which breaks down the enamel on your teeth. However, sugar doesn’t just attack the tooth from the outside of your mouth – eating too much sugar attacks the composition of your teeth from the inside as well. Dr. Weston Price was a Canadian dentist who was a pioneer in researching the relationship between nutrition, dental health, and physical health. He studied diverse native diets of natural, unprocessed, and organic foods, with very little sugar except for the occasional bit of honey or maple syrup. He contrasted this with the modern Western diet (particularly flour, sugar, and modern processed vegetable fats). Twenty-five years of research showed that the natural diets promoted healthy oral health while the Western diet did not, and in fact the modern Western diet promoted deformed dental arches crooked teeth, more cavities, and more chronic and degenerative diseases. The Sugar Industry has long known of the dangers of sugar, but has not been forthcoming about the actual impact it has on your health. When the doors closed at the Great Western Sugar Company in Colorado in 1976, they left 1500 pages of internal documents exposing how the sugar industry used Tobacco-style tactics to dismiss negative healthy claims against their products. Discovered by Dr. Cristin E. Kearns, assistant professor at UCSF School of Dentistry, in 2016, Kearns and her colleagues published a paper in the Journal of the American Medical Association Internal Medicine detailing the Sugar Industry’s decades-long manipulation of the nutritional research of sugar. Kearns also partnered with science journalist and author Gary Taubes to write the expose “Big Sugar’s Sweet Little Lies.” Kearns’ story is told in the Canadian documentary, Sugar Coated, (available on IMDb). To learn more about how sugar affects your health, check out SugarScience.org. Sugar Industry and Coronary Heart Disease Research; Kearns, Schmidt, Glantz, (JAMA Internal Medicine, November 1, 2016). Ongoing research is proving that oral health has an impact on your overall general health. For instance, there are studies showing that gum disease has been linked to health problems such as diabetes, heart disease, stroke, premature births, and other conditions. Essentially, poor oral health translates to germs and toxins that, when unchecked and left to roam your system, can inflict serious damage and cause body-wide inflammation. Your mouth, as the gateway to your body, is constantly being infiltrated by these invaders – all of which can seep into your bloodstream, cells, tissues, and organs. Your mouth is not a closed system! Not only is your mouth under assault from germs and toxins, common dental procedures like root canals can cause deadly bacteria to enter the body, multiply, and cause infection unless dentists take certain precautions. Even materials used in dental procedures such as mercury or fluoride can be toxic to your body. Additionally, Holistic Dentistry (sometimes called Biological or Alternative Dentistry,) recognizes that each individual tooth in the mouth correlates to a specific organ or body part. Holistic dentistry integrates modern science with the meridian system utilized in Chinese Medicine, and the Qi (pronounced “tchee”). In a living organism, Qi is the energy that circulates within the body through meridians that intersect all parts of the body. For instance, in acupuncture, needles are inserted into specific points on a meridian system that also corresponds to every organ and body part. Your teeth are key points on the meridians, both energetically and physically. If there is currently a problem with a specific tooth or if there have been problems in the past, that tooth is directly connected to another place in the body, such as the heart, the kidney, the breast, the prostate, the neck, etc. 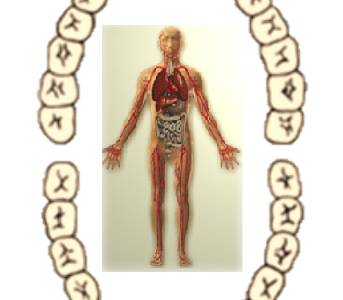 The body has five meridians, and each tooth corresponds to one of the meridians and a separate part of the body. To further explore the Tooth Meridian chart, click here. Click on the individual teeth to learn about its relationship to the rest of your body. Disclosure: Some of the links below are affiliate links, meaning, at no additional cost to you, I will earn a commission or other compensation if you click through and make a purchase. ** I receive no compensation from these websites but I highly recommend and endorse them. Are Those Pretty White Composite Fillings in Your Mouth Safe? 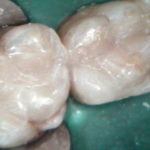 Some patients believe they are “safe” because they have white “composite” fillings. 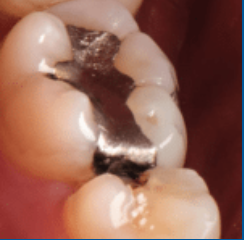 Mercury is the most toxic of all materials placed in patients’ mouths, but even “white” fillings can contain metals or other materials that can damage a patient’s health. 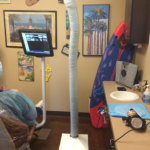 For that reason, holistic dentists will run biocompatibility tests to determine materials that work best with each patient. Biocompatibility tests are also advisable because a patient can have an actual allergy to dental materials that may be placed in your mouth. This is different than metal toxicity – some people are allergic to some metals and can have an allergic reaction completely different than reactions caused by metal toxicity. 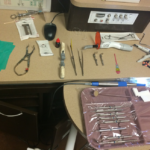 Most traditional dentists don’t believe in or simply don’t know about biocompatibility testing and they will not test you to see if the materials they use will cause a reaction when placed in your body. 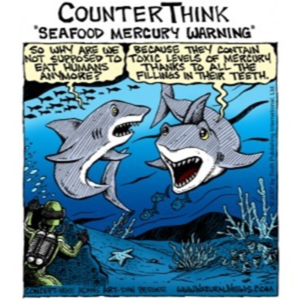 This is also true of many dentists advertising they are “mercury-free”; they may not use mercury in the fillings they place but they may also not test to find out the materials right for each individual patient. Your dentist should at least advise that you be tested for potential allergens prior to even placing a filling. Making sure your dentist does not use mercury fillings, properly removing any mercury you have, and making sure the materials placed in your mouth are right for you is an important step in maintaining your overall good health, helping to prevent serious health issues, or helping your body to heal from any current health issues you may have. Mercury fillings are outdated and toxic, and if you currently have mercury fillings, you should consider having them removed. Do they place a rubber dam in your mouth to keep you from swallowing mercury particles? Do they provide a separate oxygen supply to keep you from breathing the vapors that are caused by the drilling? 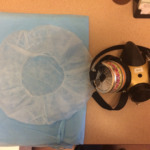 Do they provide protective clothing for the patient/staff/doctor? Do they provide patient protective eye wear? 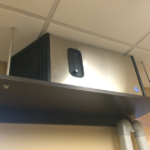 Do they have a high suction, separate vapor evacuator and ion air purifier? You should also work with with a naturopathic or homeopathic physician to prepare your body for mercury and heavy metal removal and detoxing your body from mercury and other heavy metals after your fillings are removed. Failure to do so can cause your body to get extremely sick as it attempts to detoxify on its own. 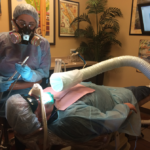 There is also a danger to dentists and assistants that arise out of the removal of mercury amalgam fillings in the waste water and vapors released into air. These dangers exist for both for dentists who place mercury fillings, but also for dentists who remove them. For this reason, not only should there be strict protocols which should be followed in removing mercury from a patient’s mouth, but all dentists should be taking environmental precautions to protect their city’s water supply. Most cities do not even realize the danger dentists are contributing to poisoning the air and water supply around us. I actually conducted a “test” of my office’s wastewater by having City water officials come out and test the wastewater from my dental office before and after putting in mercury separators. Putting in the mercury separators resulted in a 98% reduction in mercury levels into the City’s waste water system. In fact, except for certain cities that have adopted rules requiring dentists to install mercury separators on their wastewater, dental offices around the country continue to poison our nation’s water supply! 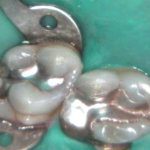 For environmental reasons alone, the use of mercury fillings should be banned completely. However, when you factor in the damage mercury fillings can cause to your health, it is clear that the costs of using mercury fillings outweigh any benefits their advocates may claim they provide. Dr. Stephen KovarDr. Stephen KovarDr. 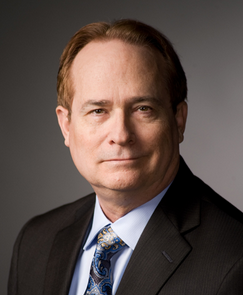 Stephen A. Kovar, DMD, FAGD has worked as a holistic dentist in Mesa, Arizona in the My Dentist office since 2008. He attended Montana State University at Bozeman, Montana studying Biomedical Sciences. He then pursued his dental education at Oregon Health Sciences University, School of Dentistry where he graduated with Honors in 1995. Following dental school, Dr. Kovar completed a General Practice / Hospital Residency at the West Los Angeles / UCLA Veterans Administration Medical Center. 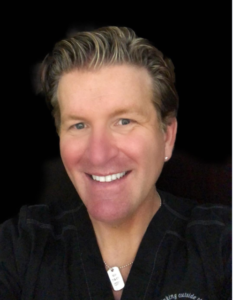 Upon completing his residency, Dr. Kovar moved back to Portland, Oregon where, for 10 years, he established his dental practice and also was an Assistant Professor of Restorative Dentistry at Oregon Health and Sciences University, School of Dentistry. In July, 2004, Dr. Kovar achieved the honor of receiving a Fellowship in the Academy of General Dentistry – an honor that less than 5% of all dentist’s in North America has achieved. Do you have any amalgam fillings in your mouth? If they are new, they may look silver and shiny. The longer they are in your mouth, the more they tarnish and begin to look grey – and then black. If you do have any amalgam fillings, chances are, you are carrying toxic poisons in your mouth. The vapors from these substances can migrate from the tooth into the bones, connective tissues and nerves. From there, they can travel to the central nervous system, where they can permanently disrupt the body’s normal functions. For many people, the build-up of metals in their body doesn’t affect them at all, however in others, those same materials can make them sick. The ADA is a strong advocate of mercury amalgams. 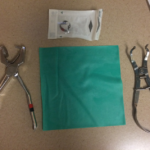 Amalgams are inexpensive, and with their use, people who could otherwise not afford dental care are able to keep teeth that, in the past, would have simply been pulled. However, science has shown the adverse consequences mercury can have on your health and it is now time for the public to insist they be protected from these dangers. Unfortunately, most insurance companies only cover the cost of mercury amalgams because it is the cheapest filling on the market. Even worse, most dentists place it in patients’ mouths because they don’t KNOW any better. People with mercury or heavy metal poisoning can have symptoms ranging from: Anxiety, Blindness, Confusion or loss of memory, Depression, Eczema, Fits of rage or outbursts of temper, Gastrointestinal disturbances, Headaches, Insomnia, Joint pain, Kidney disorder, Miscarriages, Neuralgic pain, Paralysis, Thyroid problems, Tremors and tingling of fingers, Unusual fatigue, Skin disorders, Vertigo, Weakness of legs, and other symptoms. So if your dentist suggests putting a “silver” filling in your mouth – just say no! Have You Had Your Daily Dose of Poison Today? Would you be surprised to know most traditional dentists and the ADA recommend you daily ingest a common neurotoxin, and that some cities are even putting it into your drinking water? What is it? — Fluoride. Most toothpastes, fluoride treatments, mouthwash, even teeth whitening products contain fluoride, but there are serious health risks that come with using and ingesting fluoride. It is a poison and toxic to the human body. It acts as a neurotoxin. Fluoride can damage fertility, destroy bones and cause early puberty in children. Research from a leading toxicologist at Harvard which shows an association between an exposure to fluoride and lowered IQ; additional research shows fluoride is an endocrine disruptor that can affect your bones, brain, thyroid gland, pineal gland, and even your blood sugar levels. It is a cumulative poison, meaning it accumulates in your body. Research has linked ingested fluoride to cancer and various bone problems, while other research has shown no benefit to the teeth from ingested fluoride. Too much fluoride can cause fluorosis (staining on the teeth) and fluoridating public water supplies is poisoning the general public. The FDA insists that warnings be placed on toothpaste tubes not to swallow the toothpaste, and even warnings to just use a “pea” size amount to brush your teeth. But toothpaste is made with enticing flavors, mint or cinnamon for adults, bubble gum or fruit-flavored for kids. How many people eat just a dab of toothpaste for fresh breath? How many kids eat the fruit flavored toothpaste because it tastes good? 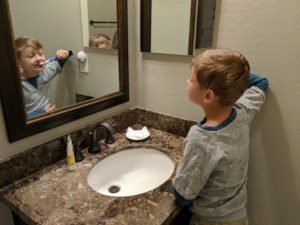 How many people just use a pea size amount of toothpaste on their toothbrush – or do they cover the entire amount of the brush? Parents are even advised to give a baby fluoride drops before the child even has any teeth, where fluoride can be directly absorbed into soft tissues of mouth. Cities are putting fluoride in the city’s water system for people to drink, claiming that it will help prevent cavities, however the ADA has said that fluoridated water (water with fluoride added) should not be mixed into concentrated formula or foods intended for babies age one and younger to prevent tooth damage. However, this message is not widely spread, and even if it were, it ignores the entire demographic of families who cannot afford bottled water to mix formula for their baby and must use tap water. Even bottled water must be researched carefully to make sure it doesn’t contain fluoride as well. Water fluoridation has been banned in many countries including: China, Austria, Belgium, Finland, Germany, Denmark, Norway, Sweden, the Netherlands, Hungary, and Japan. Nearly all of Europe’s water supply is fluoride-free. There is a group by the name of Fluoride Action Network that has a resolution: Calling for an End to Water Fluoridation, which has signed by 600 professionals from 39 different countries including 50 professionals from Canada and 10 from Alberta asking governmental agencies to stop polluting the waters with fluoride. *My wife’s favorite, and if you click on the link you can purchase it through her webpage, for which she receives compensation. ** Sold out of my office, but can also be purchased through Amazon. Please refer to subsequent disclosure. *** I am a participant in the Amazon Services LLC Associates Program, an affiliate advertising program designed to provide a means for me to earn fees by linking to Amazon.com and affiliated sites. **** I receive no compensation from these websites but I highly recommend and endorse them. Recent studies suggest that pregnant women with gum disease are seven times more likely to deliver preterm, low birth weight babies. New research finds that men with gum disease have a higher risk of certain cancers: men which gum disease are 49% more likely to develop kidney cancer, 54% more likely to develop pancreatic cancer, and 30% more likely to develop blood cancers. For this reason, periodontal disease can be the first warning sign of the body being out of balance leading to more serious problems. There are also additional factors that may lead to a higher risk of gum disease. These include smoking or chewing tobacco, puberty and menopause in women, pregnancy, stress or depression, clenching or grinding your teeth, diabetes, osteoporosis, poor nutrition and diet, obesity, even some medications. Have your gums pulled away from your teeth? 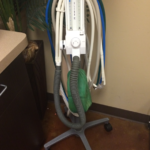 Do you have severe bad breath and bad breath that just won’t go away? Do you have teeth that are loose or separating? Has there been any change in the way your teeth fit together when you bite down? Have you had any change in the fit of your dentures? If you said yes to any of these questions, it’s time to visit your dentist! Open lesions or other signs of oral and dental infections can be an indication of heart disease or HIV. Infections in the gums and/or jawbone: toxins can leak out from these infections and may affect your immune system, leading to disease. The relationship between specific teeth and illness: when a tooth becomes infected or diseased, the organ on the same acupuncture meridian can also become unhealthy. Root canals can be a source of disease. Root canals are dead organs left in your mouth. Toxins can seep out of the root canal teeth and can cause systemic diseases of the heart, kidney, uterus, and the nervous and endocrine systems. Toxicity of dental materials used: dental materials can release mercury, tin, copper, silver, nickel and zinc into the body, which can then migrate from the tooth into the bones, connective tissues and nerves. From there, they can travel to the central nervous system, where they can permanently disrupt the body’s normal functions. Galvanic charges from the metals in your mouth: saliva in the mouth acts as a conduit in which dissimilar metals can create electric charges within your mouth. Bio-compatibility to dental materials: in the same way some people have adverse reactions to drugs or allergies to foods or other substances, some people react negatively to specific dental materials which can lead to severe allergic reactions and can contribute to a multitude of chronic health problems. TMJ and other alignment problems: TMJ dysfunction may cause misalignment of your teeth, jaws and muscles in your face which can affect your neck, spine, hips and other joints in your body. Similarly, your tongue can simply lie in the wrong position causing a multitude of health issues. These dysfunctions can be caused by trauma to the body, such as a sports injury or car accident, or they can be caused by dental restorations that do not adequately support a person’s bite. Maintain proper dental and oral care by brushing, flossing, and caring for your teeth and gums, including regular visits to your dentist. I encourage you to inform yourself and start looking at dental care as part of an overall health program. I want you to be actively involved in the care you receive and you should demand proper care and treatment. 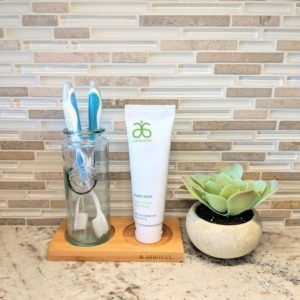 In subsequent posts, I will explain key dental treatments, including the use of non-toxic restorative materials, looking for and removing sources of dental toxins and hidden dental infections, and preventative measures you can take as part of your overall health care routine.